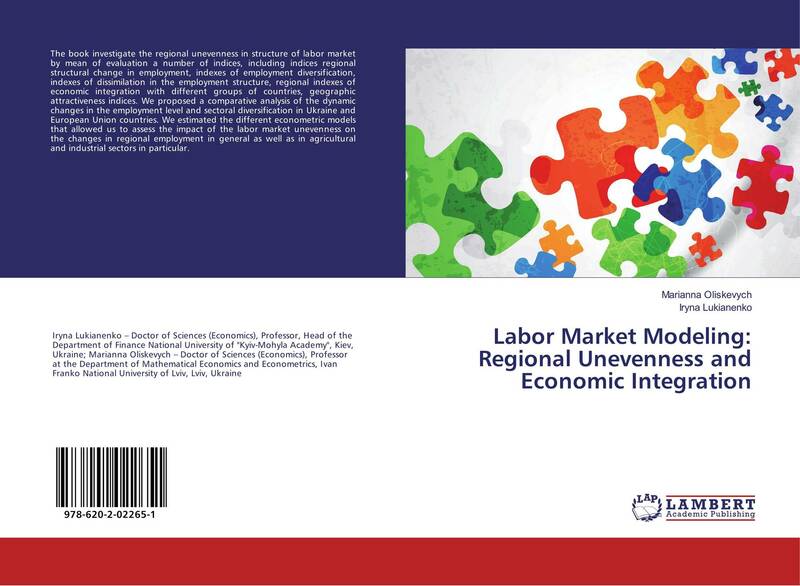 The book investigate the regional unevenness in structure of labor market by mean of evaluation a number of indices, including indices regional structural change in employment, indexes of employment diversification, indexes of dissimilation in the employment structure, regional indexes of economic integration with different groups of countries, geographic attractiveness indices. We proposed a comparative analysis of the dynamic changes in the employment level and sectoral diversification in Ukraine and European Union countries. We estimated the different econometric models that allowed us to assess the impact of the labor market unevenness on the changes in regional employment in general as well as in agricultural and industrial sectors in particular.